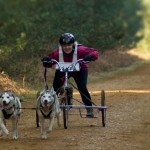 For two dogs running up front, side by side. 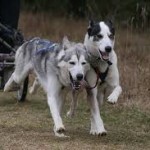 This is the most common way of running two dogs together. 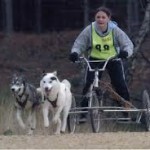 Complete made up gangline for two dogs pulling a sled or wheeled rig.